If this cold weather will actually get the hint that winter’s over and move out, we can start enjoying some colorful and bright spring trends! 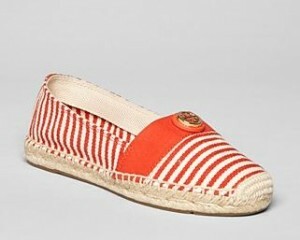 Love the colorful flat – as it warms up we can go sock free with some flats that add a little flair and fun to your look. Here’s a few picks – hopefully we’ll get some nice weather her in the mid-Atlantic so some of these can be worn! 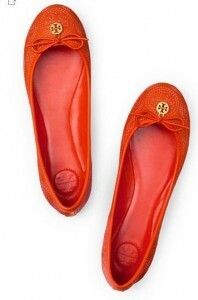 Love those Tory Burch ballet flats (duh!) and the Dr. Scholl’s flats. Thanks for sharing. I love and adore ballet flats. Just picked up a cute pair of bright yellow ones at Nordstrom Rack last week. I’m loving those turquoise Lucky Brand ones you picture here. And the black and white striped Dr. Scholls. FUN! Oh my. Every time I scrolled down I gasped a little more. All of these flats are adorable. 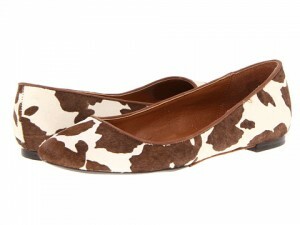 Being a country girl I especially love those cow print flats. Those (or something very similar) may need to be added to my wardrobe!